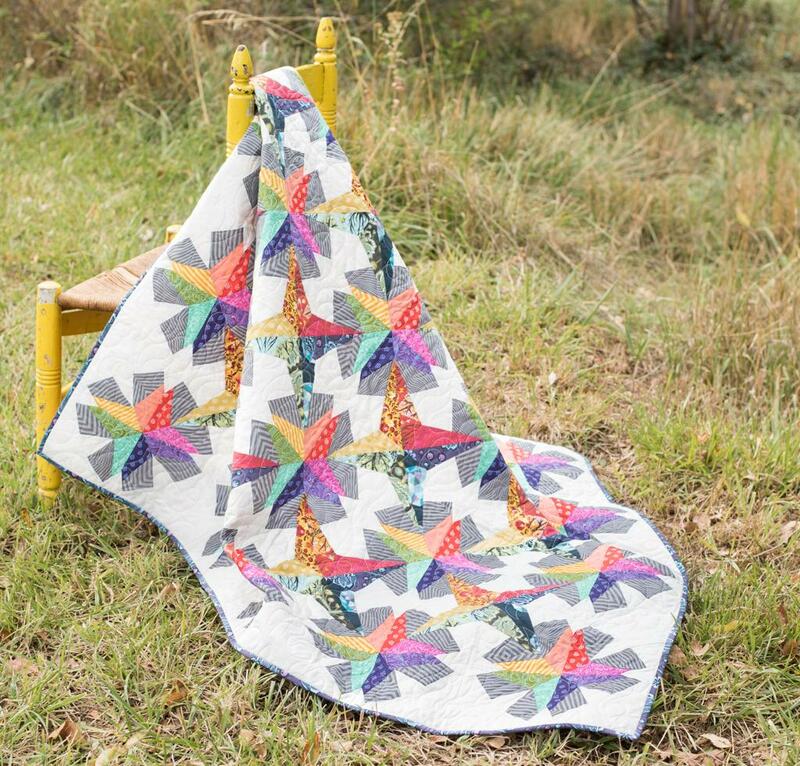 It’s been a busy time here at Stacey in Stitches, so I thought I would post another free pattern for everyone! Say hello to Fletching! 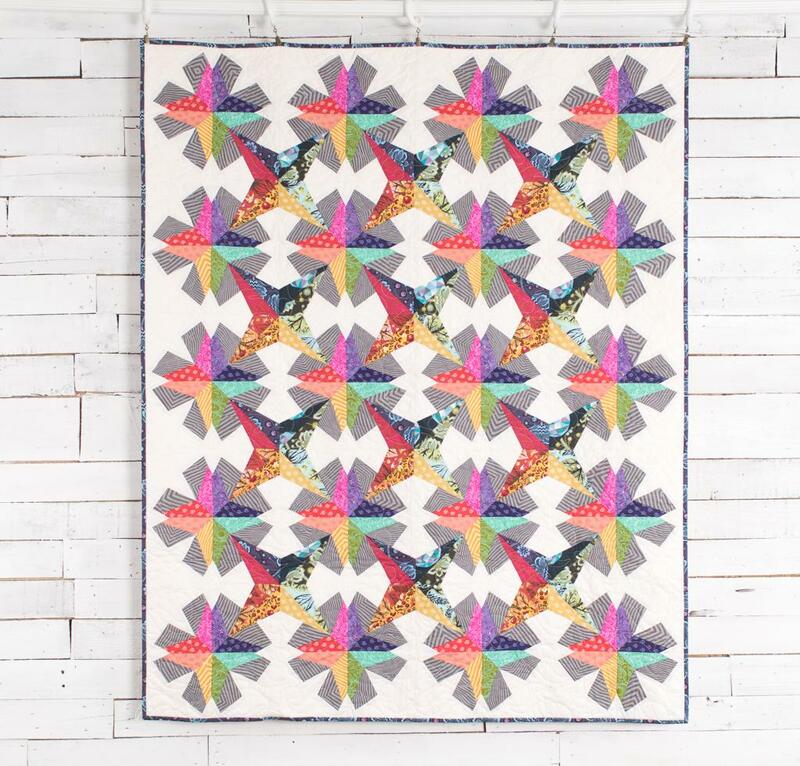 Fletching is another quilt pattern from the book that never was. 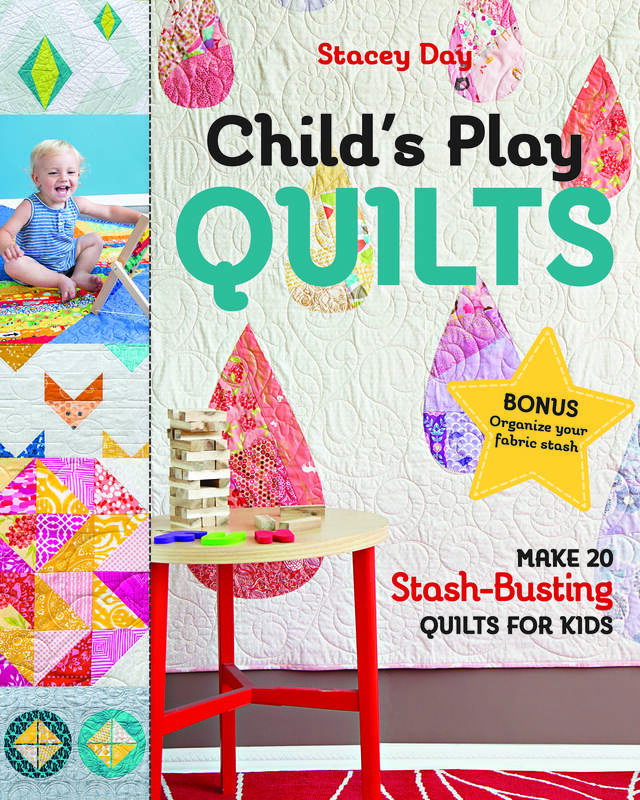 It was one of the first designs for the book, and my goal with it was to create a large, useable quilt that sews up quickly. I think I succeeded in Fletching. 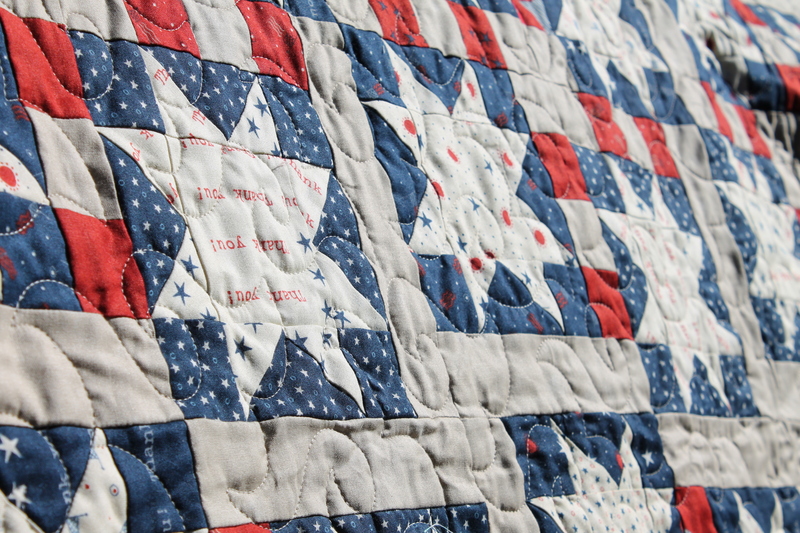 The best part is that it has an improv with intent element to the construction, so no two quilts will look the same. 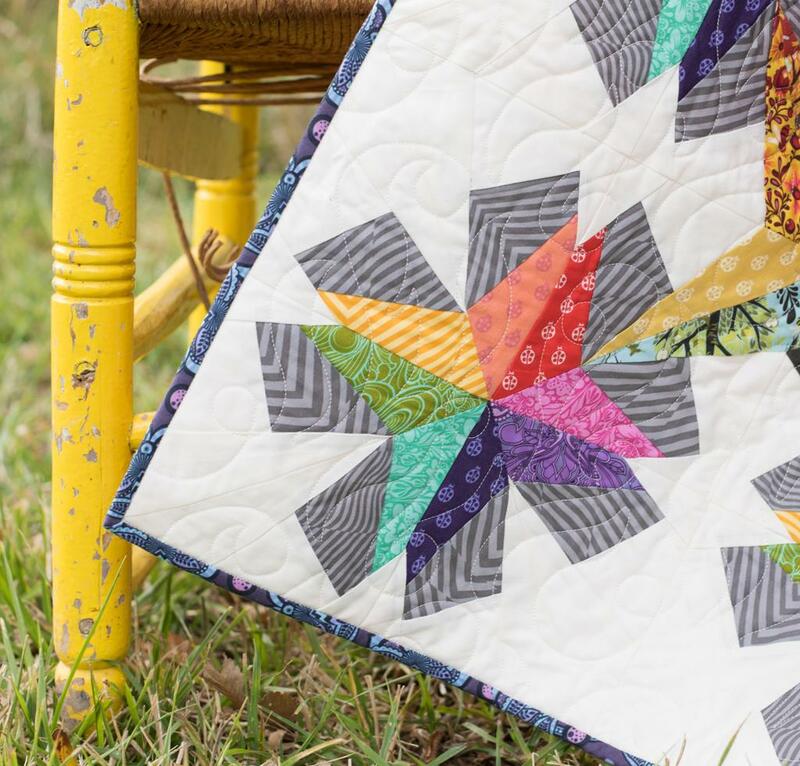 The pattern uses large scale simple paper piecing, so it’s perfect for anyone wanting to get their feet wet. 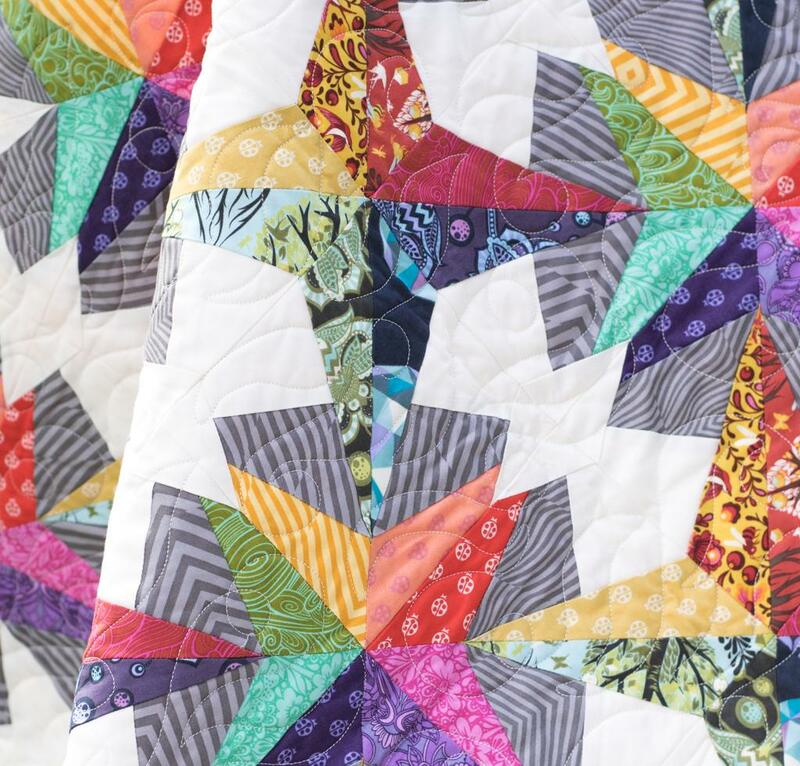 I mocked it up in a few different colorways, and they all look spectacular, so you know whatever fabric you choose is going to look great. 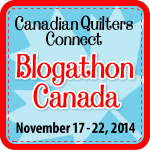 I used a selection of my favorite warm, rich prints and batiks from my stash to make the fletchings. 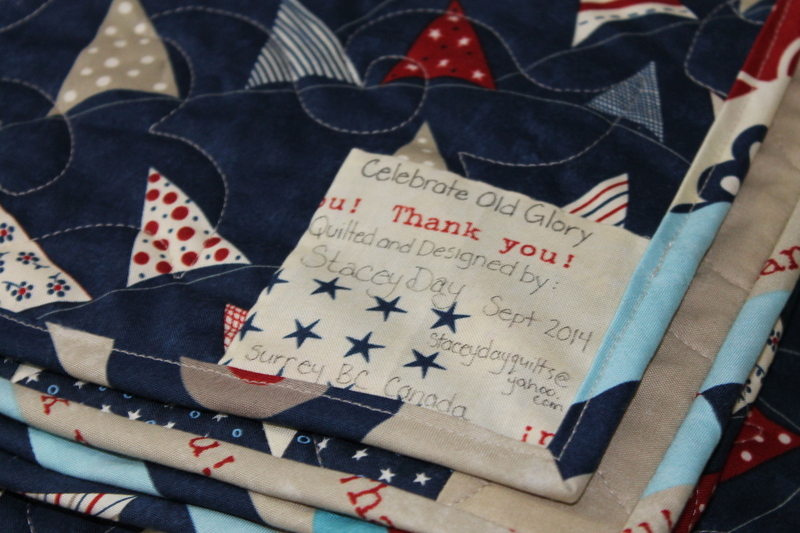 Joan Nicholson of Maple Leaf Quilters did a bang up job on the quilting. 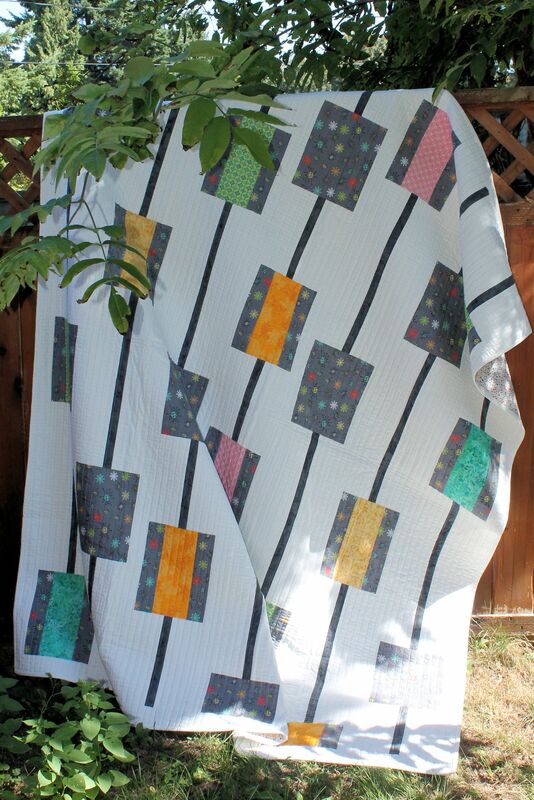 I asked for simple and modern, and the straight lines in a rainbow variegated thread are perfect for this quilt. 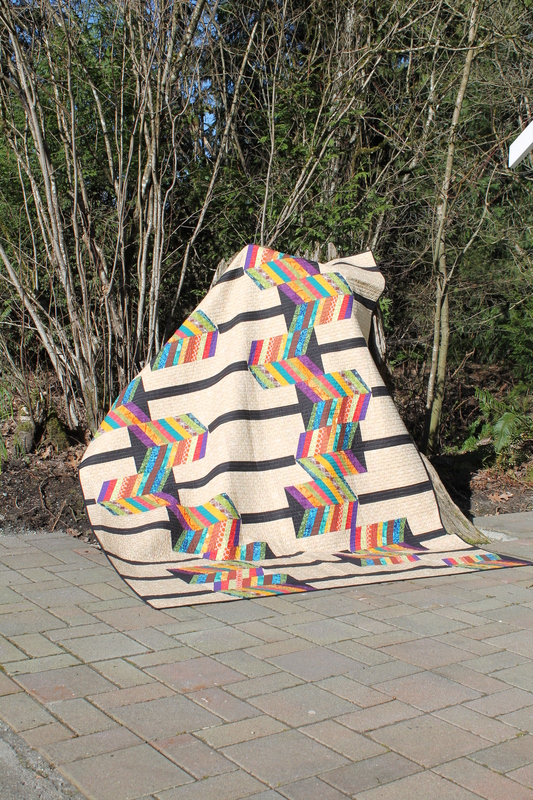 The Fletching quilt went on a long flight recently to it’s new home with J, a childhood friend of mine in the UK. He went on a long vacation that ended up as a staycation, and finally has a proper flat in a charming little town full of old churches, hills, and bunny rabbits. He was my brothers best friend growing up, and we have known each other since I was 7 and he was 5 ( I think, it’s been a LONG time) when they moved onto our street. I have a lot of happy fond memories growing up in that neighborhood. When J posted a picture of his room on Facebook, touting the fact that he finally had a real bed and pillows again, I realized he needed a quilt. Badly. White pillowcases and a sheet, it was screaming for some color! 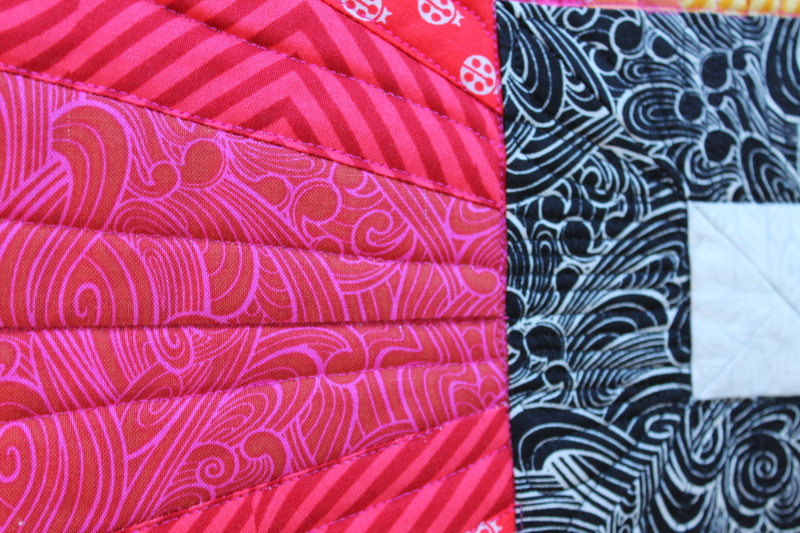 Every so often, a quilt tells me where it wants to live, and in this case Fletching practically jumped out of my trunk and into a mailbox. 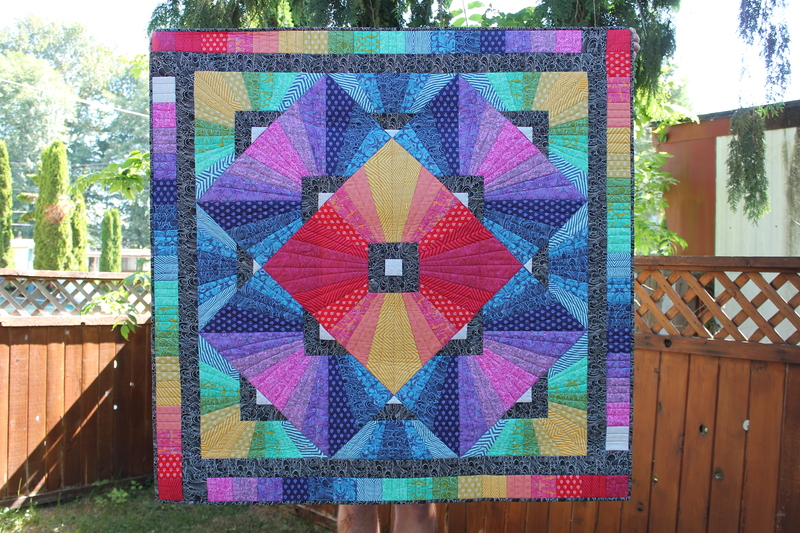 I knew it would be the perfect quilt for J. 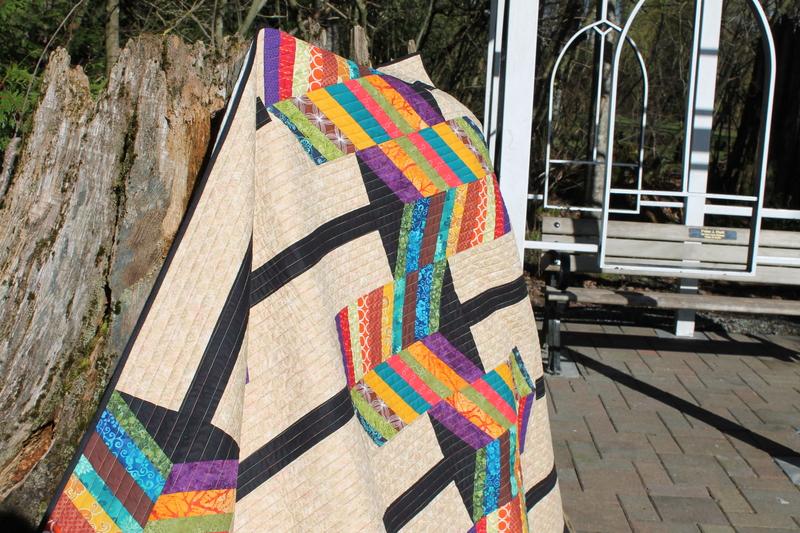 The rich, vibrant colors and multidirectional arrows of the quilt seemed to speak to his life, in which he is a performance artist and now a traveller. His life has gone a direction he maybe didn’t plan on, but he is making the most of it. 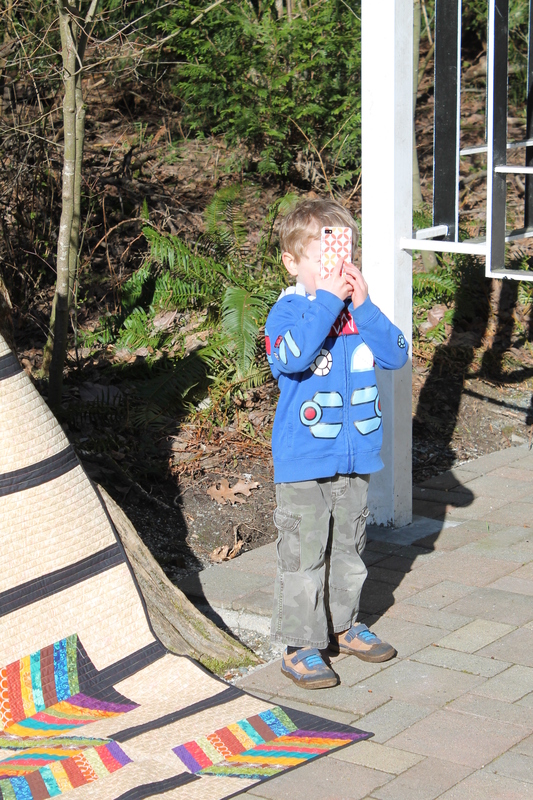 So I went out on the first actually sunny day in what seemed like forever and captured a few pictures (with the help of my little buddy) and promptly sent it away. 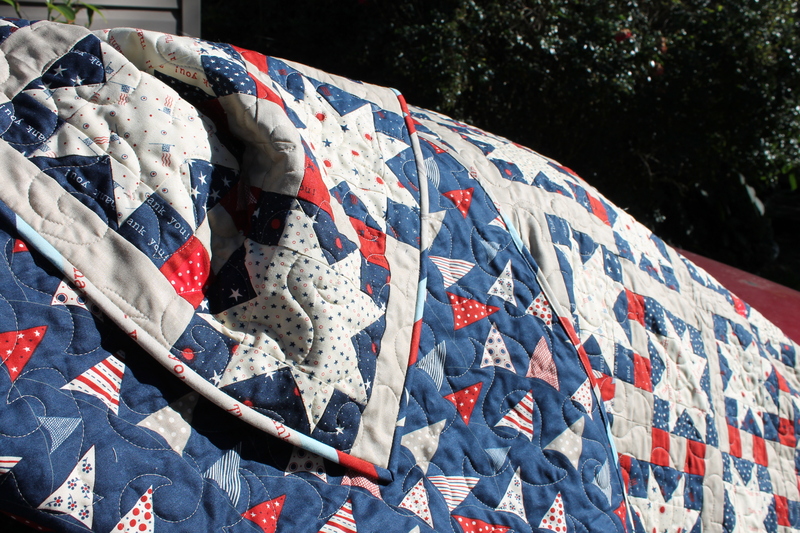 The quilt has been received and it goes great with his flat. 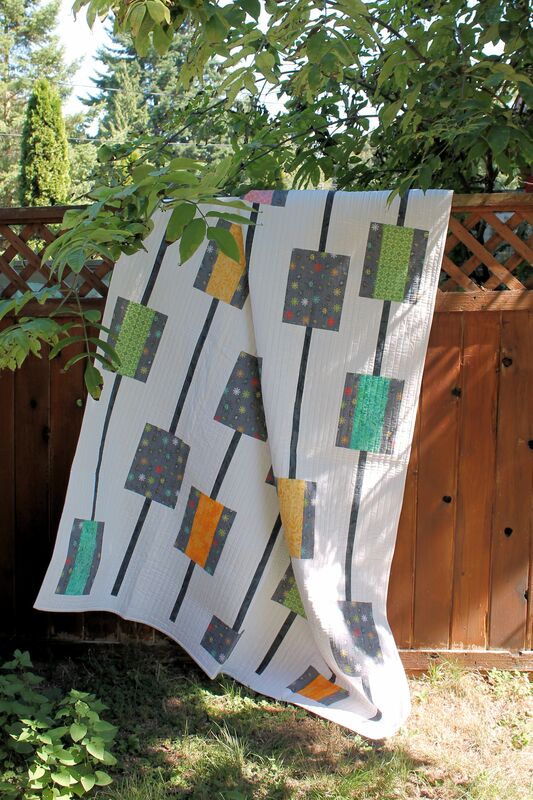 I am so happy that Fletching has a forever home with J, where it will be used and appreciated as a quilt should! 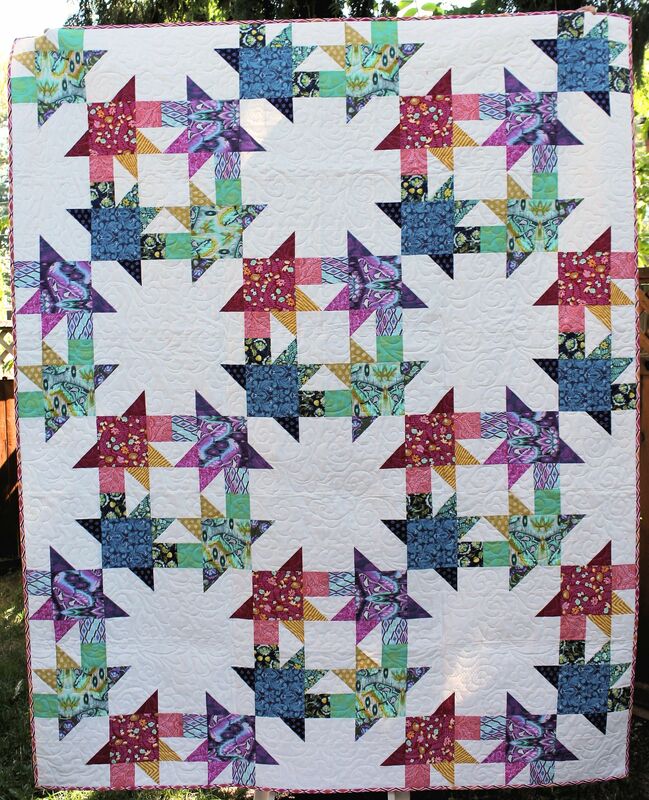 You can find the free pattern in my Craftsy shop by CLICKING HERE. Its been a long busy summer, with so many things that I just cannot share at the moment. So I thought I would carve some time out and do something that I could share with you! 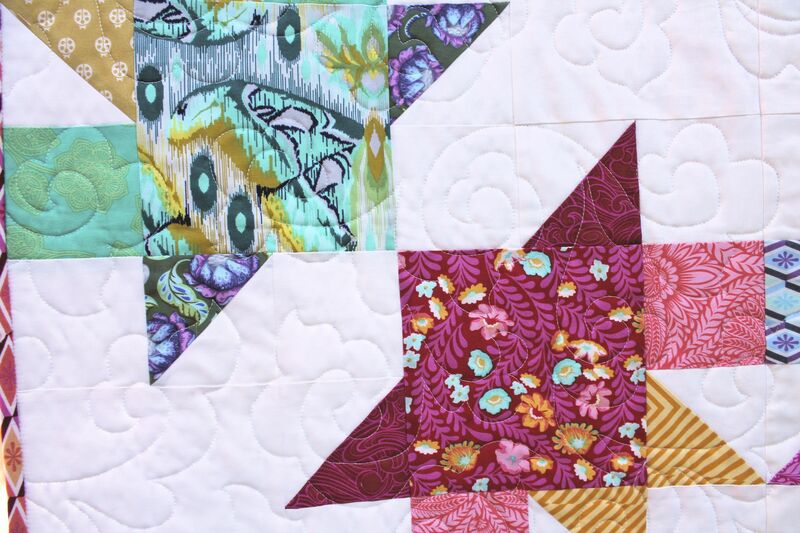 I used some of my favorite fabrics from my stash, and it was lovingly pieced by Holly Broadland @hollybroadland . 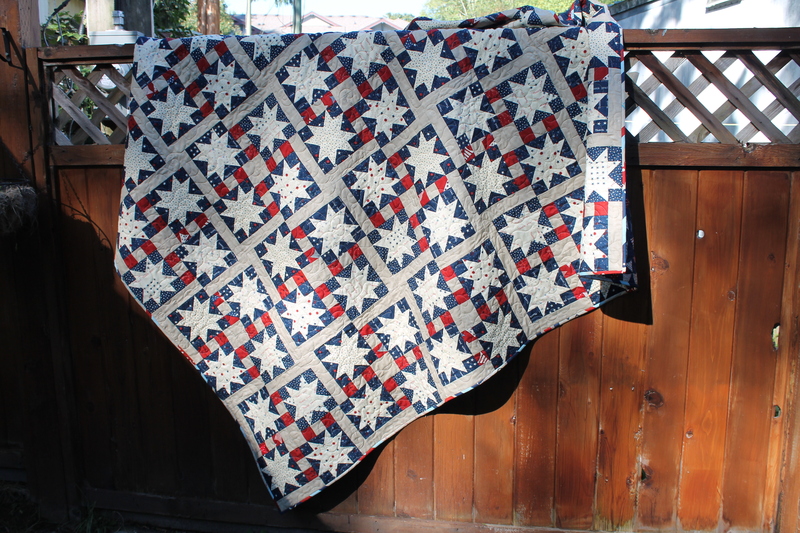 The quilting is a medium grey thread, and Joan of Maple Leaf Quilters did a great job straight line quilting this on her long arm for me. Going Up is one of the patterns from the book that never was. I finally got motivated enough to illustrate it and try to take some pictures (solo outdoor pictures with a white quilt on a sick day? Yeah, that was really smart of me) But they turned out not half bad and I was rewarded with a visit from an actual real live bumble bee. I took more pictures of him than I did the quilt! That bumblebee was exactly what I needed today. I have been sick for a few days, and feeling overwhelmed with responsibilities at home and at work. Watching that little guy, standing in the warm summer sun, I felt a peaceful calm fall over me. I was able to relax and enjoy the moment. It has been a dry, hot summer with severe drought conditions, so its no small miracle that we have these teeny tiny flowers for him to enjoy. Some shots even show the pollen as it bursts from the flower while he works. I feel busy as the little guy for sure! 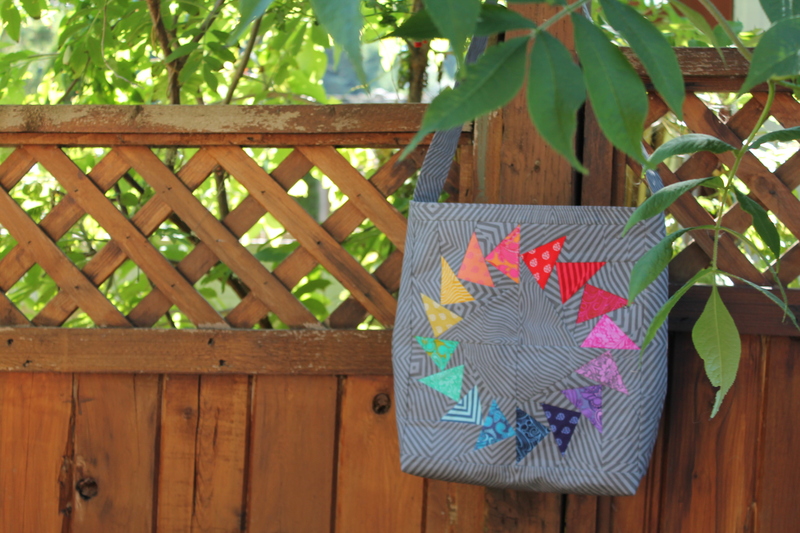 Going up is available as a free download from my Craftsy Pattern Shop. 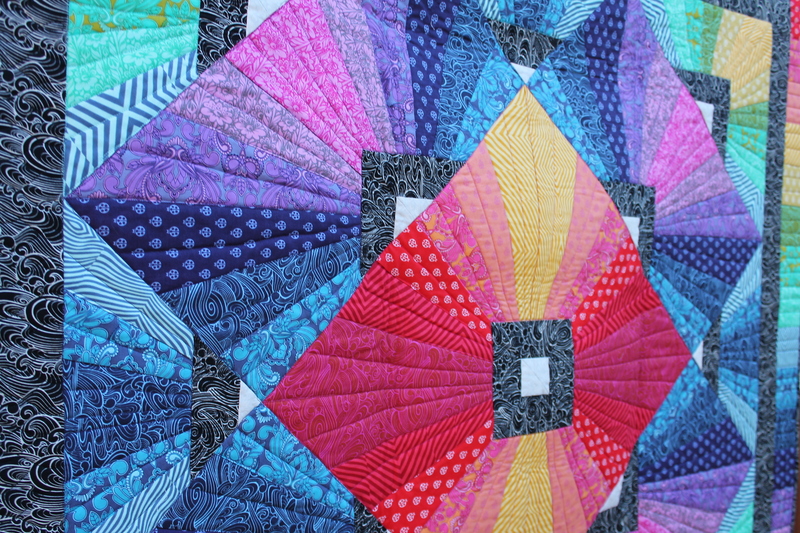 I have some other great patterns there too, so have a look around and enjoy!